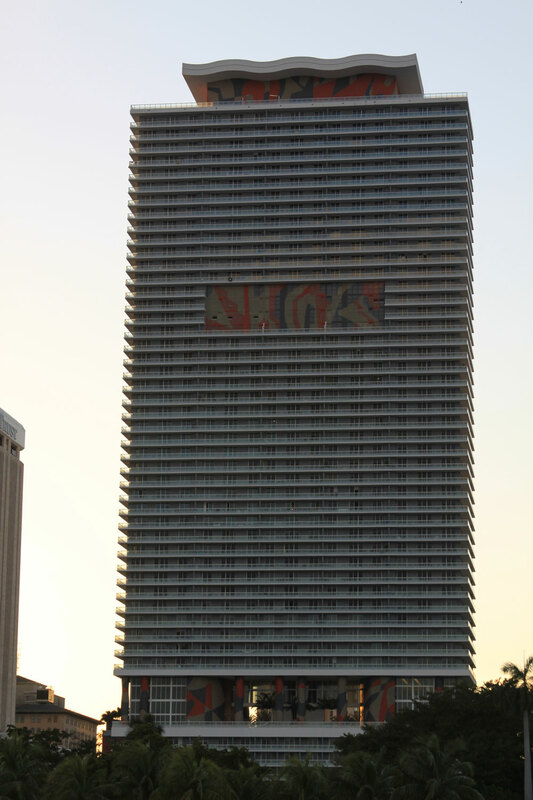 The 54 story 50 Biscayne condo in Downtown Miami is a joint effort between The Related Group and Sieger-Suarez Architectural Partnership, located across the street from Bayfront Park. 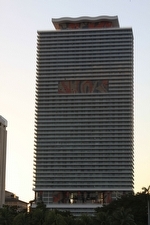 The building's most outwardly distinctive feature is the large, colorfully abstract mural easily seen from the outside. 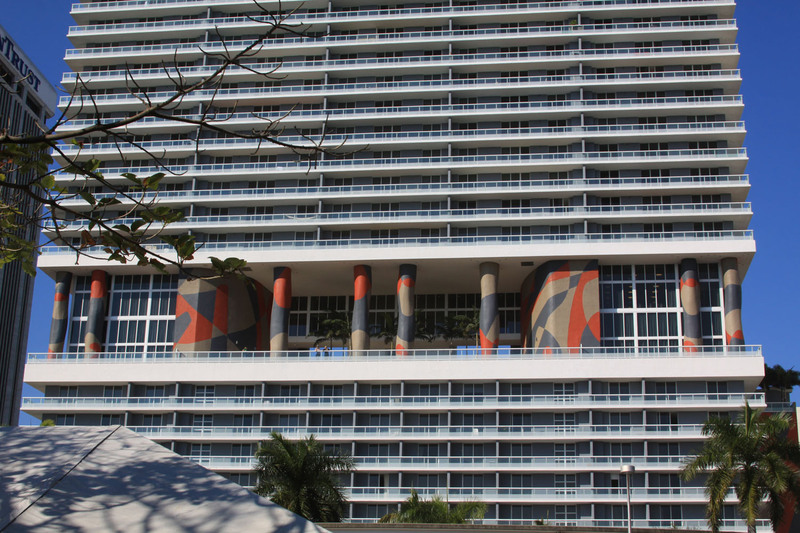 The Miami condos for sale of the building are available with one, two or three bedrooms. 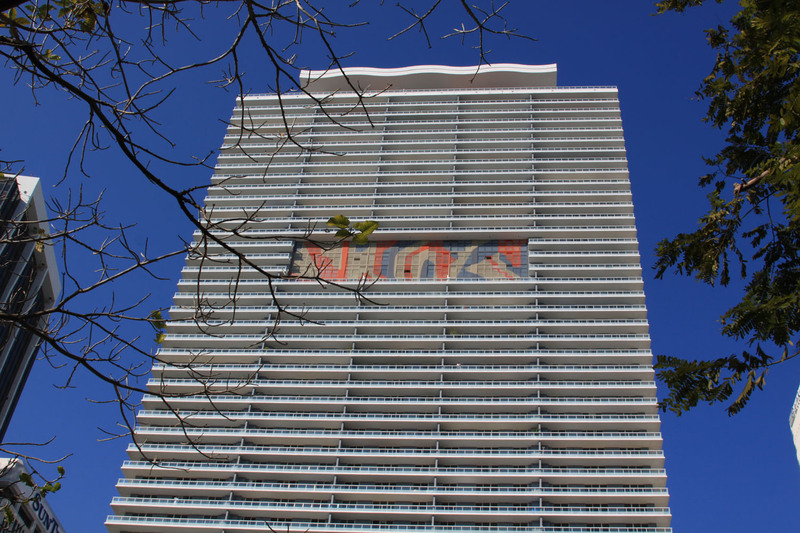 You'll find over 15,000 square feet of retail space on the ground floor of the 50 Biscayne condo. The building's three-story lobby was designed by The Rockwell Group of New York and complements the club rooms, fitness center and a spa that extend two levels and feature a party deck. Furthermore, a tenth floor "Urban Oasis" features daybeds, a snack bar, an infinity edge pool and flourishing tropical landscaping. The 50 Biscayne units have eight foot ceilings and walk-in closets. Kitchens come with a number of high end appliances and Italian cabinetry and offer the choice of imported granite or quartz countertops. Bathrooms feature porcelain tile floor as well as marble vanity countertops. Bayfront Park frequently plays host to various musical events and festivals. Next door to the park is the Bayside Marketplace, an open air shopping center that also has live music and boat tours. 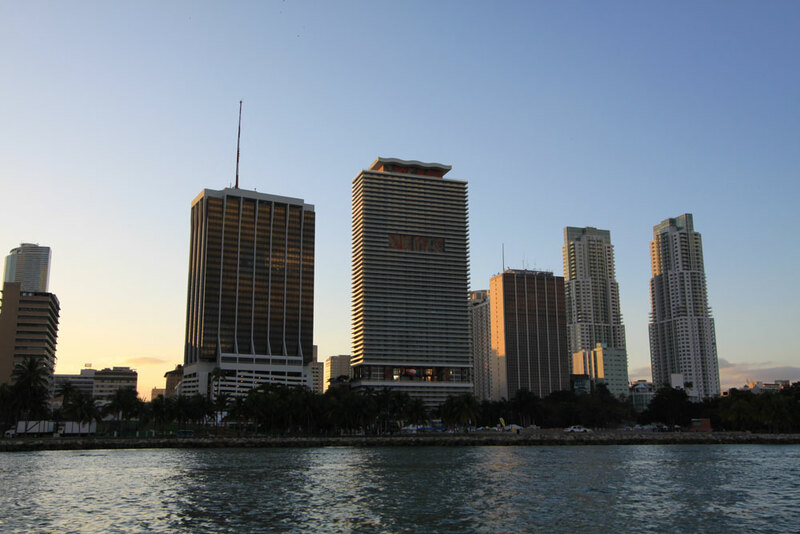 Just a little further north is the American Airlines Arena, Bicentennial Park and the Adrienne Arsht Center for the Performing Arts. The MacArthur Causeway (also to the north) provides access to Miami Beach.